While climate science has made great progress in the projection of weather and climate information, its uptake by local communities remains largely elusive. This paper describes two innovative approaches that strengthen understanding between the providers and users of weather and climate information and support-appropriate application: (1) knowledge timelines, which compare different sources and levels of certainty in community and scientific weather and climate information; and (2) participatory downscaling, which supports users to translate national and regional information into a range of outcomes at the local level. Results from piloting these approaches among flood-prone communities in Senegal and drought-prone farmers in Kenya highlight the importance of co-producing ‘user-useful’ climate information. 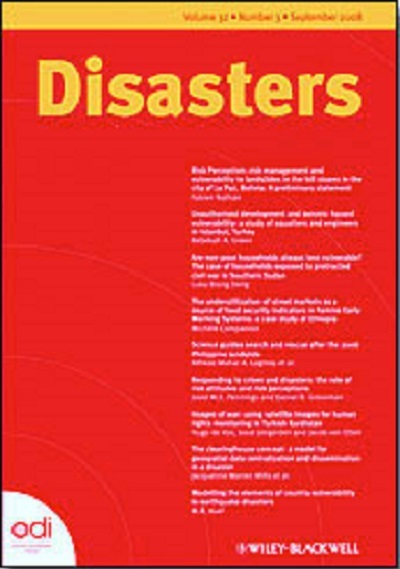 Recognising that disaster risk management actions draw on a wide range of knowledge sources, climate information that can effectively support community-based decision-making needs to be integrated with local knowledge systems and based on an appreciation of the inherent uncertainty of weather and climate information. Kniveton D, Visman E, Tall A, Diop M, Ewbank R, Njoroge E, Pearson L. 2015. Dealing with uncertainty: integrating local and scientific knowledge of the climate and weather. Disasters 39(s1):s35-s53.